One or Two Butternut squashes, peeled, seeded, halved and sliced into 1/4 to 1/2 circle slices or double this amount of delicata squash, similarly prepared. You can leave the skins on if you want, but most folks prefer to eat their squash without the skins. I like them both ways, but find that my guests prefer no skins and eat around the skin, so I’ve taken to peeling these so that all of the squash gets eaten. Pre-heat your oven to 350° Fahrenheit. Combine all the ingredients in a large bowl so that all the sliced squash is coated with the herbs, olive oil, orange juice and garlic. 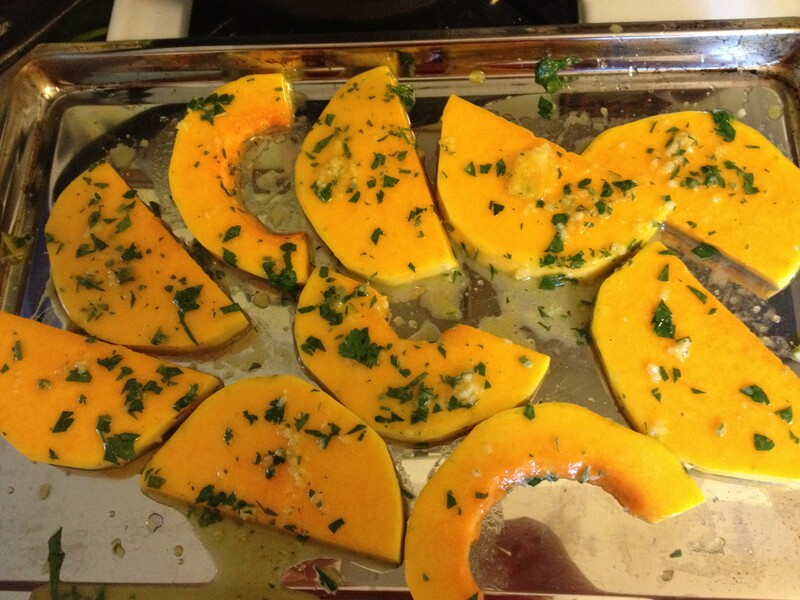 Arrange the squash half-circle slices on a cookie sheet. You can either line the cookie sheet with parchment paper or just put them straight on it. 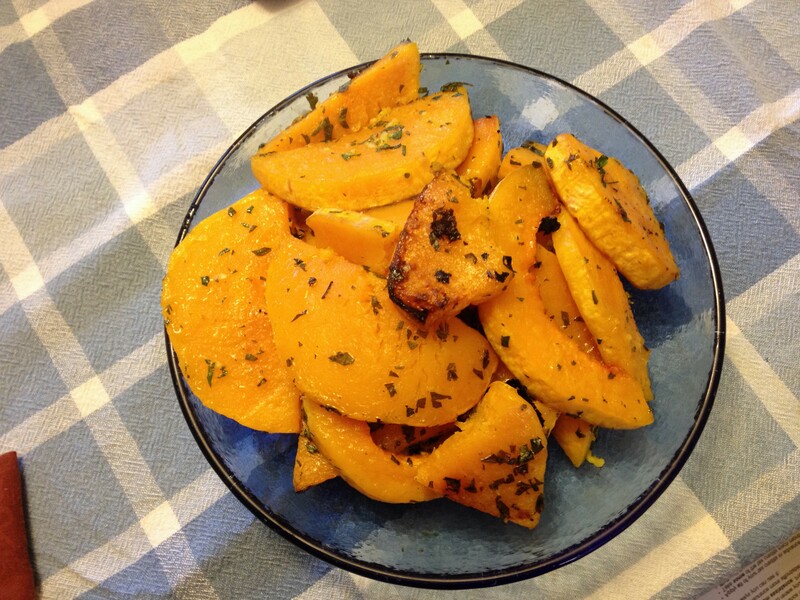 I know that roasted squash is one of the foods they serve in Heaven. On that note, it definitely wouldn’t be Heaven if there wasn’t fabulous food, right?